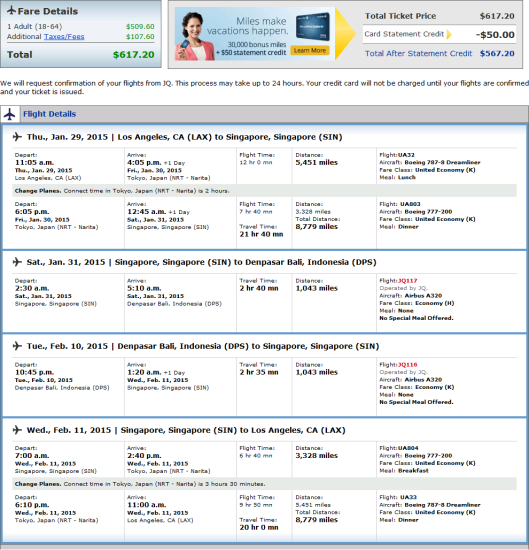 LAX – NRT (Tokyo) – SIN (Singapore) – DPS (Bali – Denpasar) – SIN – NRT – LAX. The segments between US and Singapore can be operated by All Nippon Airways. 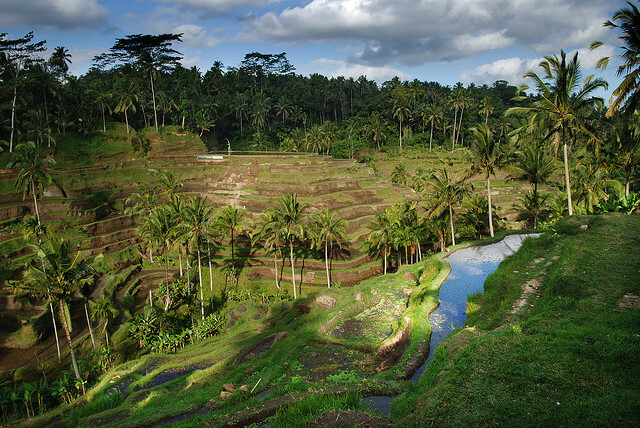 Segments between Singapore and Bali will be operated by JetStar — be mindful of it. United and JetStar are interline partners – so baggage should check through. March 1st, 2015: 1,663 miles or a difference of 15,895 miles. The flight information has been pre-populated for you. All you need to do is enter the dates for for the Los Angeles – Singapore, Singapore – Bali, Bali – Singapore, and Singapore – Los Angeles segments as found on ITA.